This month we are taking our inspiration for our new project from an incredible and mystical character: William Blake. 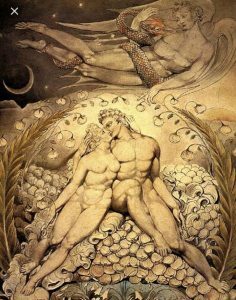 A poet and painter, William Blake is considered to be a man who gave back Britain a sense of identity, at a time when the French and American Revolutions were doing the same in those countries. But above all, Blake was a mystic, a visionary, with at least one foot in the Otherworld – if not more.